The Cheonghae Unit of the Navy celebrated its decadelong contributions to global peace Wednesday, standing as the very first maritime unit including warships to be deployed overseas. Having set sail from Jinhae Naval Base here on March 13, 2009, the Navy contingent has conducted anti-piracy operations, several rescue operations and has escorted tens of thousands of South Korean and foreign vessels in areas around the Gulf of Aden. 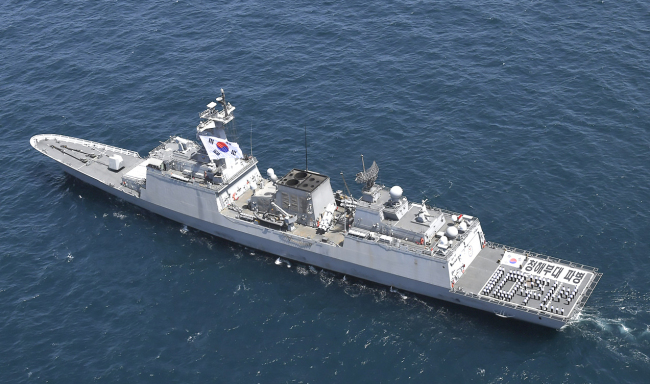 “The Cheonghae Unit has carried out operations to counter piracy and escorted vessels around the Gulf of Aden for the past 10 years, and has successfully conducted anti-piracy operations with multinational naval forces there to raise South Korea’s position,” Ministry of National Defense spokeswoman Choi Hyun-soo said in a press briefing Tuesday. As of Feb. 20, the Cheonghae Unit had escorted 21,895 vessels and conducted 21 operations to counter piracy on the seas, according to the Navy. The total sailing distance of the unit with about 300 personnel amounted to 1.95 million kilometers. Since the first deployment, 8,478 sailors have served in the contingent based on the 4,400-ton destroyer, which operates on a six-month rotational basis. 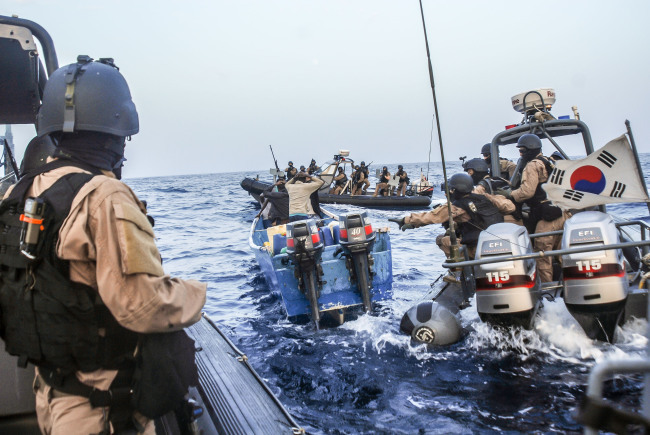 The Navy said the overseas unit also takes part in the Combined Maritime Force, a multinational naval force dedicated to maintaining maritime safety and combating piracy, and conducts joint military drills with the European Union’s maritime security operations. A ceremony marking the 10th anniversary of the deployment of the Cheonghae Unit is to be held at the ROK Fleet Command in Busan on March 19. Chief of Naval Operations Adm. Sim Seung-seob will be present with other former unit commanders and sailors. ROKS Munmu the Great was the first warship to be deployed as part of the unit to Somali waters in 2009. On March 29, South Korean destroyer Daejoyeong is set to depart again. Currently, some 1,095 South Korean troops are operating in 12 countries for peacekeeping missions and to monitor armistices. Among troops dispatched are the Dongmyeong Unit operating as part of the UN Interim Forces in Lebanon, the Hanbit Unit in South Sudan and Akh Unit in the United Arab Emirates.